The HTC 10 and the Samsung Galaxy S7 are probably the best phones of 2016. It’s a tough decision choosing between the two; and it’s sometimes hard to get all the features and specs to match up. In this article, we’ll highlight some of these specs and features to help you pick the best model. When you’ve got to pick between two phones that appear the same (despite the name brand), it’s hard to make a choice. They really aren’t that different in size (the HTC is a hair bigger, but the Galaxy S7 is slimmer). Another great feature about these phones are the solid casing and materials that form the bodies and interworking. They’ve even got virtually the same display resolution (HTC has 564 ppi while the Samsung Galaxy S7 has 577). The HTC 10 has an IPS screen technology, which is nothing new for HTC. That being said, it’s hard to tell which phone is actually superior in screen technology. It also processes data a little bit faster (around 2.2 GHz). The RAM of this model is pretty great too (at 4 GB); and you won’t easily run out of space on your phone. While the HTC 10 has a little less internal storage, it features Android’s Adoptable Storage, plus space for a MicroSD slot The camera on the HTC 10 is a little better too (when it comes to the aperture, camera pixel size and optical image stabilization on the front and back of the mobile phone). You also get laser focus to make your shots a little faster. Another deciding factor is how fast this phone charges (it comes with a Quick Charge 3.0) making it a little more efficient than the Galaxy S7. The HTC 10 sounds great, but the Galaxy S7 is no slouch. It’s highly resistant to dust and water, and the software from Samsung is quite solid. If you’re buying the GS7 sold outside of the US, China, and Japan; you’ll have a blazingly fast Samsung Exynos 8990 chip. It also comes with a lot more storage, and a more affordable cost. 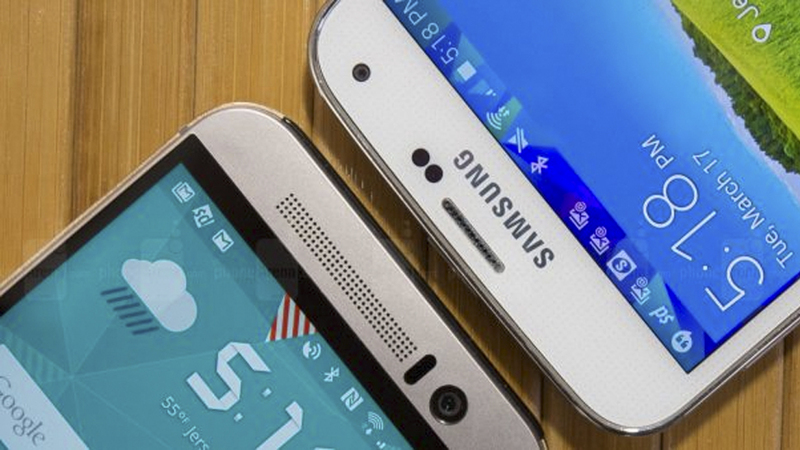 You really can’t go wrong when picking between these phone models. Both have great features that make them well worth the purchase price. In addition, they both are going to be upgraded to Android N soon- making them an exceptional phone with great processing abilities.